An anti-racism report suggests the creation of a provincial hate crimes unit, but officers say investigations start with people reporting what's happened to them. 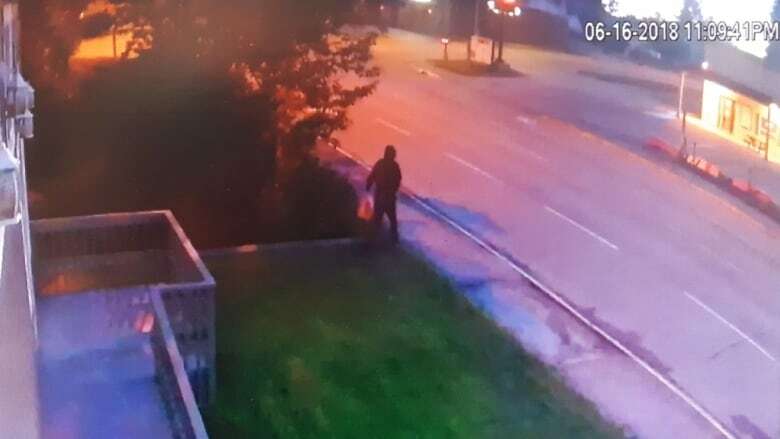 A figure in a dark hoodie walked away from the Edson mosque while holding a jerrycan, presumably responsible for the fire that shocked the small town two weeks ago. As police search for the suspect caught on surveillance video, the case is being investigated as an arson. If it's determined the person was motivated by hate or prejudice against Muslims, it will turn into a hate crime investigation. Hate-motivated crimes are reported to police every three days in Alberta, according to a provincial estimate. The cases range from arson and vandalism, to threats and harassment, much of which occur online. The prevalence of hate-motivated crimes is partially what prompted the government to this week recommend the creation of a provincial hate crimes unit. The suggestion was part of a sweeping report on anti-racism strategies. There is currently no timeline for the creation of the unit, which would share intelligence and support local police forces tackling hate crimes investigations. While forces in the province's biggest cities have had such units for years, smaller communities do not. Edmonton police have investigated 37 hate-motivated crimes this year. They have also dealt with 37 hate-motivated incidents, which don't meet the threshold for a criminal investigation, including incidents with slurs or other derogatory language. "I think hate crimes are one of the most under-reported things going on," said Willits, a member of the EPS Hate Crimes and Violent Extremism Unit. Willits acknowledged that sometimes communities don't feel they have a respected voice with police. But he insists authorities do want to hear about hate-motivated crimes and hate-motivated incidents, even if they don't constitute a crime. "We want them to know you're valued and we want to hear from you." Fatmeh Kalouti is a Muslim woman who wears a hijab. She says hateful incidents, such as slurs or intimidation, are a regular occurrence for her in Edmonton. But she has never reported to police — despite her knowledge and familiarity with the EPS through her work as chair of the Safety Summit Committee. "I've pulled up the (police) web page, and started typing a report, and then think, 'Nothing's going to come out of it anyway.' In that moment, when I'm angry or upset of what happened to me, I'm not thinking about the data, I'm thinking, 'What will come out of this?'" "There's this idea that the police don't care or I'm just going to get brushed off or I can't prove it's racism but I know it's racism. It's that barrier of reporting in the first place." Changing those relationships will require better representation on the police force, and more concerted efforts on anti-racism efforts within the force itself, she said. In Alberta, it's rare for the Crown to prosecute serious hate crimes, which are defined as acts that willfully promote hatred. The province's specialized prosecutions branch currently has no such files underway. But police are coming across crimes that may have been motivated by hate, such as vandalism or harassment. However, motivation can be hard to prove. Which is why police say reporting hateful incidents is important, even if they may not immediately result in charges. "If a crime is committed by an individual with a history of incidents that are related to hate and bias, that can all play a part in determining what their bias and motivations are," said RCMP Sgt. Marco Lou, who is also president of the Alberta Hate Crimes Committee. Police can also look at an accused person's social media presence and online connections. 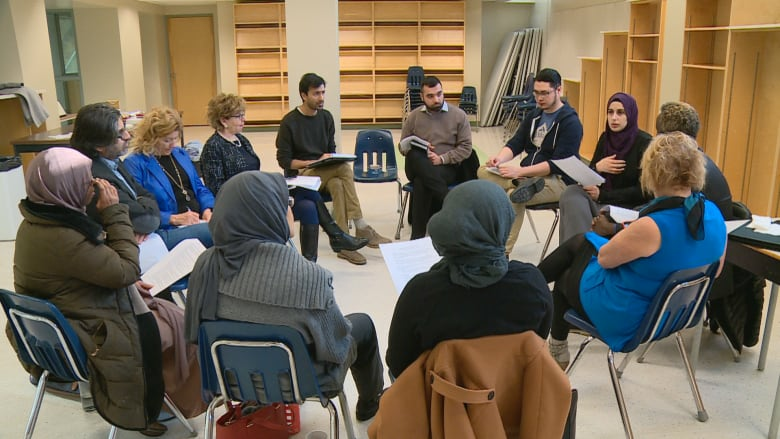 Last year the Alberta Hate Crimes Committee also set up a website for people to report hateful incidents that might not meet a criminal threshold. Lou confirmed the investigation into the Edson mosque fire is on-going. While it may seem to constitute a hate-motivated crime, Lou said more work needs to be done on the file. it's nearly impossible to ascribe any given motivations until there's real and concrete evidence," he said.